The Sims Social: Free pink reindeer heads for all! 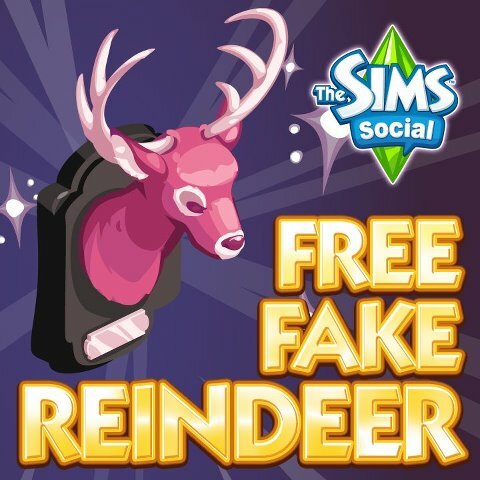 Back in December, EA and Playfish launched a promotion encouraging players of the Sims Social to Like the game's official fan page, with the incentive being a large, fake pink reindeer head that they could mount on one of their Sims' walls. It may have taken a long time to hit the 8 million Like mark necessary for this promotion, but reach it the page did. EA and Playfish are now following through on the promise, as you can now claim your very own mountain fake pink reindeer head for your game. Let's just think about this for a second: it's a pink reindeer head (that's bizarre enough), but it's also mounted on your wall as though you had hunted this imaginary creature yourself (don't worry, it was apparently made from a rocking horse). Talk about weird! Even if you've stopped playing the game as frequently as you may have in the past, there's still great incentive to claim this one-of-a-kind item, as there's no guarantee we'll ever see it again, whether free or otherwise in the game. Click here to claim your free fake pink reindeer head! What do you think of this reindeer head decoration in the Sims Social? Did you think the fan page would ever actually reach the 8 million "Like" mark? Sound off in the comments.